The two webinars located on this page are foundational to your business success! They are designed to walk you through the ultimate importance of your brand, with detailed recommendations on how to find and validate the perfect target market niche for your business. Most importantly, these webinars will show you exactly how to apply everything you learn to your social media marketing campaign so that you can start creating the type of success for your business that you have never been able to achieve before. There is no previous experience or skills required, just a passion to learn! Make sure to read this entire page and watch each training webinar in full as this step is the foundation to everything you do from this point forward to successfully market your business! Know exactly who is the PERFECT PROSPECT for your business and WHAT THEY NEED. Write content that truly ADS VALUE and creates ENGAGEMENT at levels that you have never previously attained. Create LOW-COST ads that generate a stream of NEVER-ENDING LEADS. CONVERT MORE LEADS than you ever thought possible. Your brand is not only the rudder for every action and decision you make for your business, but literally molds the entire strategy for how to deploy a social media marketing campaign. 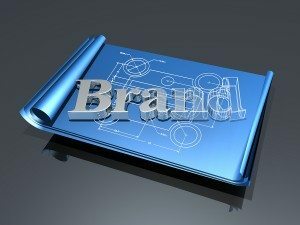 Starting out without a brand for your business would be like trying to write a book without an idea of what the story was about. Just as you wouldn’t start to randomly writing pages and chapters for a book, you also wouldn’t just start posting about things you think are important in a random fashion on your social networks and blog. Your social media marketing strategy can be a simple, yet well thought-through plan to serve your target market niche with absolute consistency. What will be so eye-opening about these two webinars, is the learning that 99% of all entrepreneurs leave on the table. It is learning that directly relates to the real power in your brand and the ability to create new relationships, credibility, trust and conversions like never before. Identifying your unique target market niche that makes FINDING AND CREATING new relationships a straightforward and simple process. Creating a content strategy for the social networks and your blog that delivers HIGH PERCEIVED VALUE. Creating a PROSPECTING and LOW-COST AD plan that is unique to your business. Creating IRRESISTIBLE OFFERS that generate the highest response rates. Building credibility and trust that increases CLOSING RATIOS. The first webinar below will first take you through everything you need to know to create your own brand and target market niche. The second webinar will show how to validate the target market niche that you have selected, giving you the ultimate confidence that it can produce the kind of results you want from your social media marketing campaign. Watch each webinar in full!